To celebrate our 100th post on this website, we are highlighting in this post six of the less obvious features on the website, which should make it easier to find a fixture, work out how to get there and research previous meetings at the course. You can see the local of each of the Devon & Cornwall area courses on a Google map, selecting any of the courses (Blue balloon icon) gives you the option of having Google produce a set of directions to the course from your location which will include the distance to the course from your location, the expected duration of the trip and at the end of the directions the average fuel cost of the journey. The fuel cost can be configured by vehicle type, fuel type and fuel price per litre. Downloadable Point of Interest (POI) files are available for Tomtom, Garmin and Navman Sat Nav devices allowing you to install all of the Devon & Cornwall courses as Points of Interest on your device. The 2013-14 Fixture list as well as including contact details for the Secretary of the meeting, the start time of the meeting and whether Pony Racing also takes place, includes two links for each fixture. The first, the location, links to the national website’s information about the course (course summary including a description of the racetrack, viewing, and parking, a racecourse map where available, the top performing riders at the course and local weather & traffic information), and to make it easier to find the course the second, the post code, links to the Google map described above and allows the directions feature of Google to be used. 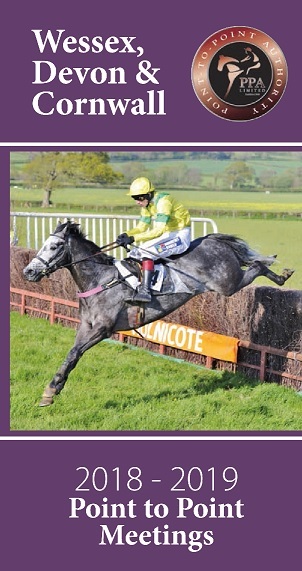 Why not download the 2013-14 Devon & Cornwall Point-To-Point fixtures in the icalendar format, and import them into the calendar on your computer or device. You can then get reminders for every fixture this season send directly to you, with most calendars offering email, TXT or pop-up alerts. The fixtures of course are available in the calendar embedded on the home page as well..
On the right side of the home screen, under the features articles section is a drop box allowing you to select a category, using this tool is a great way to find all the information related to a particular course or fixture. The national website now has results available for the most recent eleven seasons, and the last season (2012-13) results includes all runners and inline comments whilst the top three positions are available for previous seasons. 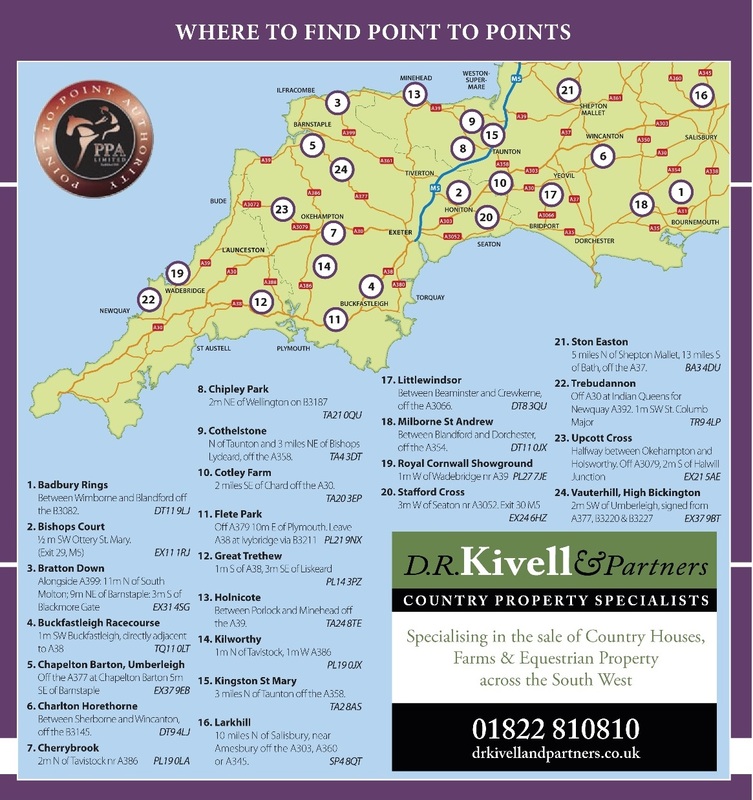 This section of the Devon & Cornwall website provides the direct links to the appropriate section on www.pointtopoint.co.uk for the Devon & Cornwall meetings each season. Note: a subscription to the national website will be required to see the current season’s full results.